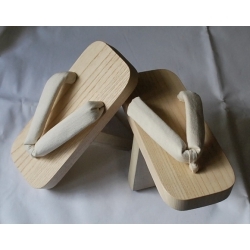 The geta are Japanese wooden sandals formed of the body of the shoe and the teeth underneath with thongs passing between the big toe and the second toe. These sandals are very popular among martial arts practitioners because they strengthen the legs and maintain the body axis straight, which is the natural position adopted by karatekas, aikidoka, kendoka, etc. 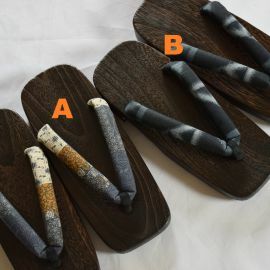 They are usually worn with a yukata or kimono and tabi, socks divided into two parts, the first to put the big toe, the second for the other four toes. Our geta are all made in Japan. Our stock is regularly renewed with new models with very varied patterns: sober or colorful, with the Japanese or Western touch, everyone will find what he's looking for on our online store! Geta There are 3 products.